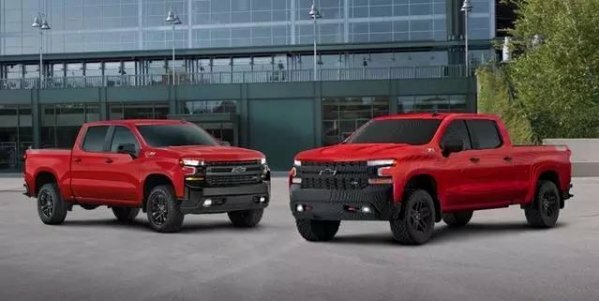 Recently, Chevrolet introduced a 2019 Silverado 1500 1:1 size Lego model, which is 72 inches high (about 1829mm), 240 inches long (about 6096mm), 96 inches wide (about 2438mm). 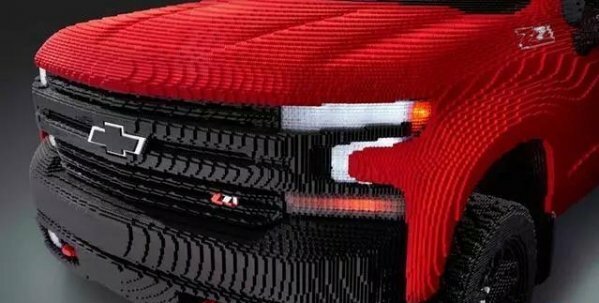 It costed 18 people for more than 2,000 hours and was completed by hand picking and installing 334,544 LEGO. 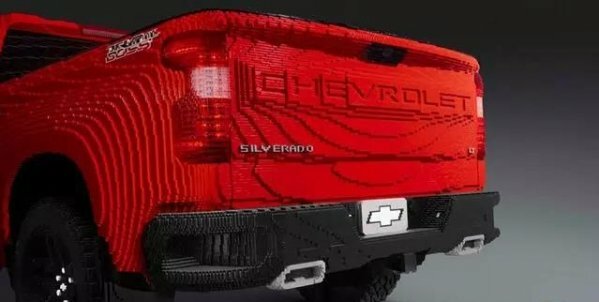 The most common building block is the 2X8 stud brick. 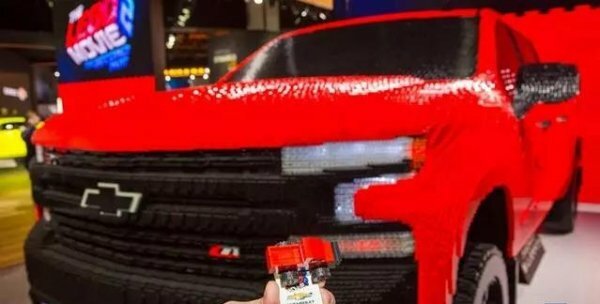 At the end of the day, the Lego Silverado weighed 3,307 pounds (about 1,500 kg), and it was very surprising that there were work lights and very fine details in this model. Click Find More to see the detail.